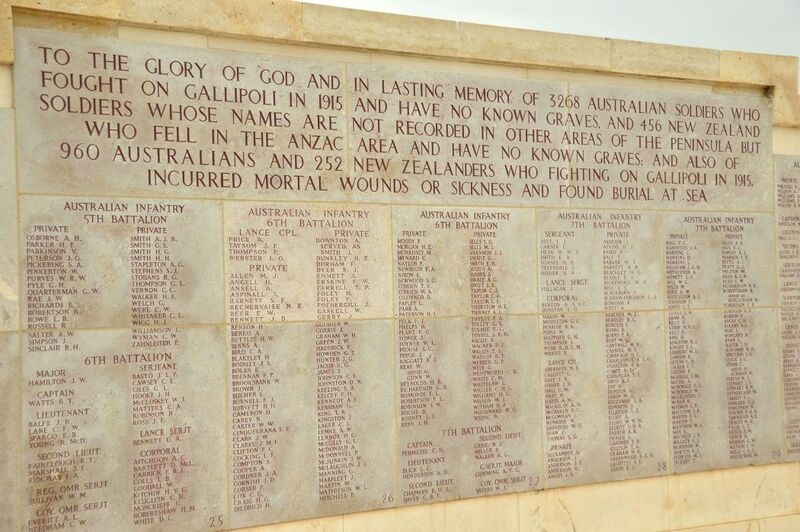 As an Australian who was living in London for 12 years, it had gotten to the point that I felt like a bit of a disgrace for never having visited Gallipoli. As I was planning to leave London later that year I decided the time had come! So I investigated Gallipoli Tours from Istanbul and came up with the following. 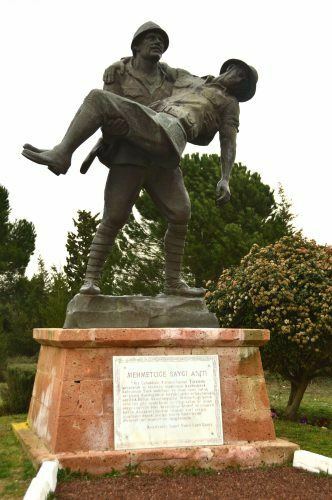 Gallipoli tours as a quick trip are hard to do! It is a good 4-5 hours by car from Istanbul to Gallipoli. I was traveling solo so getting a private car was ridiculously expensive – plus I needed a guide once I got there. I then looked at flights from Istanbul to Canakkale – there appeared to be one a day but it was either very late at night or very early in the morning. The day after my visit I was off to Cappadocia so none of that met my time needs. So I decided to do a Gallipoli day trip from Istanbul as my Gallipoli tours option – it was a long day but I definitely think if you’re looking to do this relatively quickly vs traveling Turkey at a leisurely pace (which would be preferable) I think it is the best option. There are a couple of options for organised day trips from Istanbul. 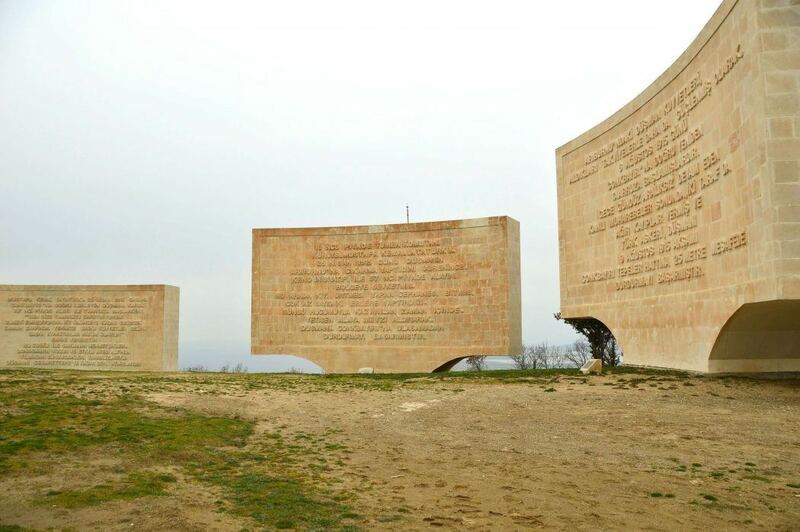 The first one – Gallipoli Day Trip from Istanbul – is a hotel pick up at 7am and return at 10pm. It includes lunch and all the major sites. 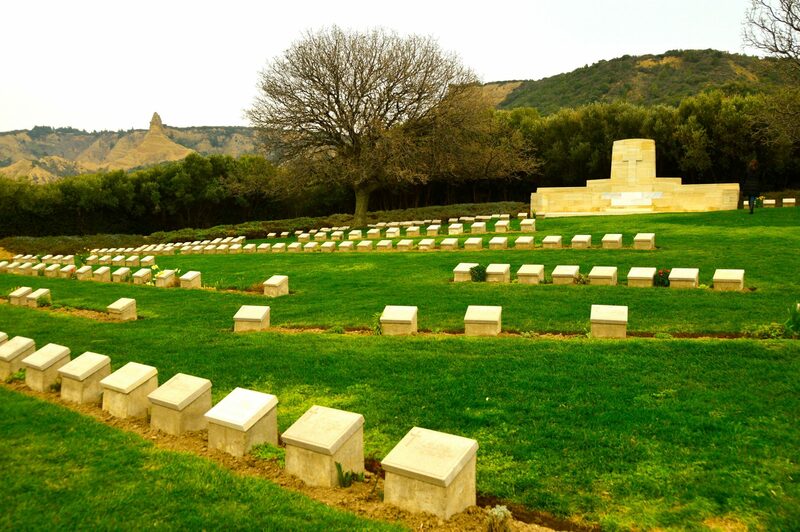 A second option is the Daily Secrets of Gallipoli Tour. It is very similar to the first but is a slightly earlier hotel pick up at 630am and includes breakfast as well as lunch. 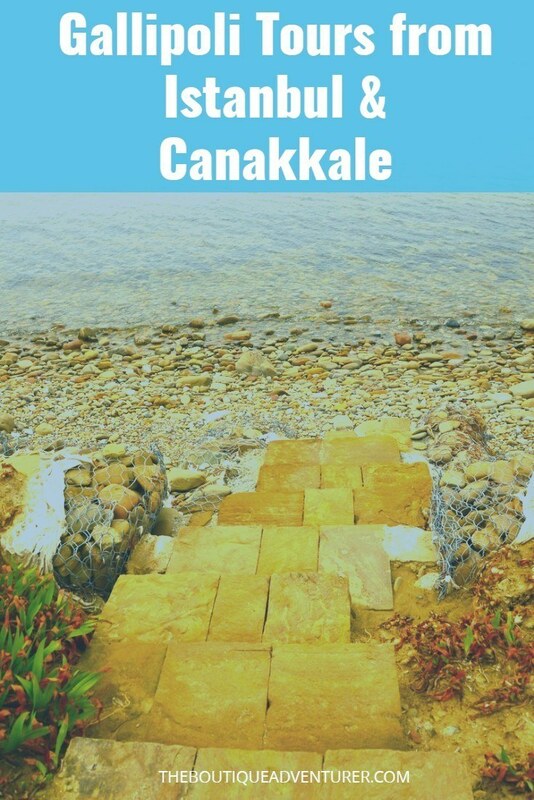 There are also tour options that commence from Canakkale. 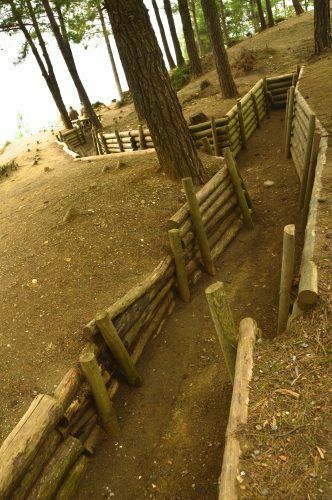 There is a Combined Troy and Gallipoli tour that covers both sites. The tour begins in Canakkale and then ends later that night in Istanbul. Or this Gallipoli and Troy Tour option is cheaper but begins and finishes in Canakkale. 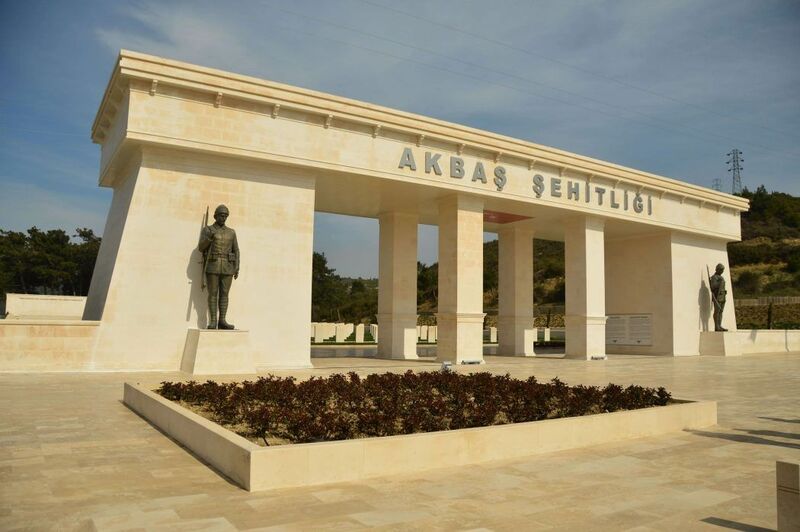 Or if you are only interested in Gallipoli this Gallipoli tour starts and finishes in Canakkale and is cheaper and less time than the other two options (6 hours). I stayed at the lovely Empress Zoe Hotel. This super cute boutique hotel has an amazing location right in the middle of Sultanahmet. This boutique hotel has 25 rooms and is spread across several old Turkish townhouses. Each room is decorated in wood and stone with Turkish textiles and ensures you feel like you are in Turkey staying somewhere quite stylish. Another lovely boutique option in Sultanahmet is Hotel Ibrahim Pasha. This small hotel has only 24 rooms and features a great balcony with a view of the Blue Mosque. Prices from 100 pounds a night. Click here for the latest prices and more details. If Sultanahmet is too touristy for you hop on a boat and 35 minutes later you will read Kanlica and the minimalist Hotel Ajia.This gorgeous hotel has a fantastic outdoor eating area right on the Bosphorus and 5 of the rooms have balconies on the river. Rooms start from 170 pounds a night. Check out latest prices and more details here. One of the most exciting boutique hotel openings in Istanbul in the last couple of years was Soho House. Located in the Beyoglu district it has all the brilliant design for which Soho House is known as well as a stunning pool and great restaurants. Prices start from about 140 pounds. Check out latest prices and more details. For one of the ultimate boutique hotel experiences, you can’t go past the Four Seasons Sultanahmet. The hotel was previously a prison. There are only 65 rooms and alas no swimming pool but there is all the amazing service for which the Four Seasons is deservedly famous. Prices start at around 340 pounds a night. Check out latest prices and deals. When I arrived at my hotel in Istanbul Hotel Empress Zoe the night before there was a confirmation from my Gallipoli tours company which was reassuring when I had a 6 am pick up – I’m not keen on getting up early without reason! Heading to Istanbul in the winter? Check out this great post on everything you need to know when visiting Istanbul in Winter. I was picked up just after 6 and there were several of us in a minibus. We had a stop for breakfast just under 2 hours into the trip which was basic but fine. And importantly there was a clean bathroom. Then we visited a quite spectacular Turkish war memorial. We then gathered in the town of Eceabat to meet up with others. Our tour guide was brilliant. Extremely knowledgeable. Turned out we had been Peter Jackson’s tour guide when he was in the area! Impressive celebrity association! The highlights of my Gallipoli tours were ANZAC cove and of course Lone Pine as an Australian. It was very moving to see the graves of all these young boys who were most likely naively expecting the adventure of their lives. Seeing the beach and seeing the landscape brings home how difficult a task was faced. It was a very moving trip and something I think every Australian should do. Finally, we hopped on a much bigger bus for the trip back to Istanbul – which took considerably longer than the trip out as the traffic was bad. I got back to my hotel at about 1030pm. 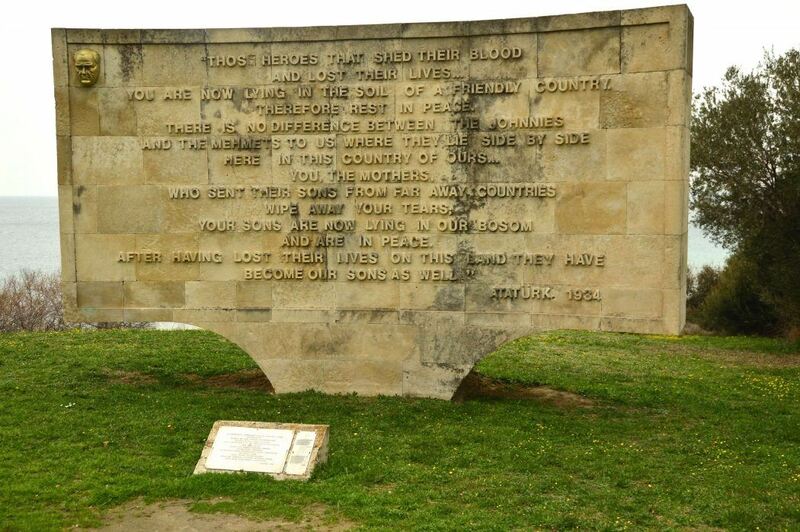 A Gallipoli Tour from Istanbul is a long day but a great day and so worth doing. The tour company was fantastic and I think it was also excellent value for money. Another amazing thing to do in Turkey is to visit Cappadocia. Check out my post on the Best Things to do in Capadoccia. If you’re planning a trip to Turkey try this terrific 2 Week Turkey Itinerary. Or if you’re planning on going for a week have a look at my 7 Day Turkey Holiday Itinerary. Next articleThings to do in Medellin: Top 18 Things to Do plus Eating!